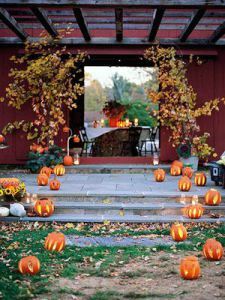 With the start of fall right around the corner, there is no better time to explore some of the amazing trends set to make a mark on the season ahead. 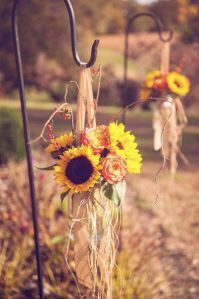 From bouquets to the bride’s groom, we have the low down on our favorite colors and looks for an October wedding. Orange is no longer a color simply reminiscent of Halloween. 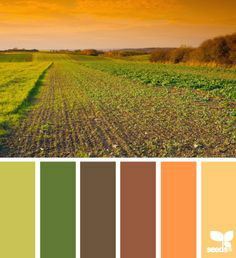 Finding inspiration in an autumn palette can bring a natural, warmth to your wedding ceremony. Tan, burgundy and mustard are great alternatives to more traditional hues. 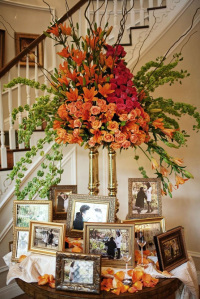 A flower arrangement that includes rustic plum and berry tones will accent the rest of your décor without looking overdone. Sunflowers are a perfect seasonal favorite. Speaking of rustic, did we mention that wood is an incredible way to create a wedding that screams comfortable and chic? 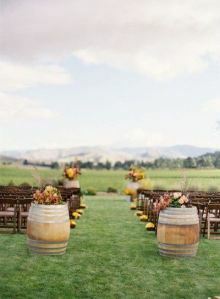 That’s right, this fall the great outdoors is making a major statement when it comes to weddings. From cake-stands to table settings, the beauty of including wood accents is that they almost always result in a bit of creative, individuality. If a pastoral theme doesn’t fit in with the décor you had in mind, consider discussing outdoor photo opportunities with your photographer. The fall setting of trees, leaves and (hopefully sunshine) will speak for itself. While you can never go wrong with a classic black tuxedo, less conventional menswear is coming out front and center this fall. Whether it’s an alternative hue like gray or a different material entirely-think tweed-this season, change is a great thing. 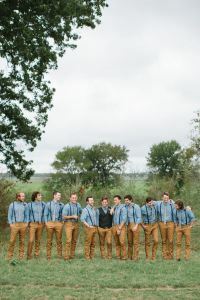 A retro take on menswear can bring a cozy feel to any fall wedding ceremony, and will allow you to play with color themes in a much bigger way. 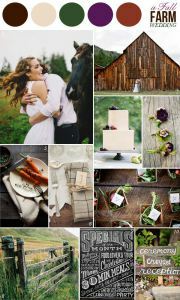 For more of our favorite fall wedding looks, be sure to follow us on pinterest.